Simply take a picture of a cat or select a photo from your library. With SnapCat's machine learning, deep learning and artficial intelligence technologies you will know the predominant breed. 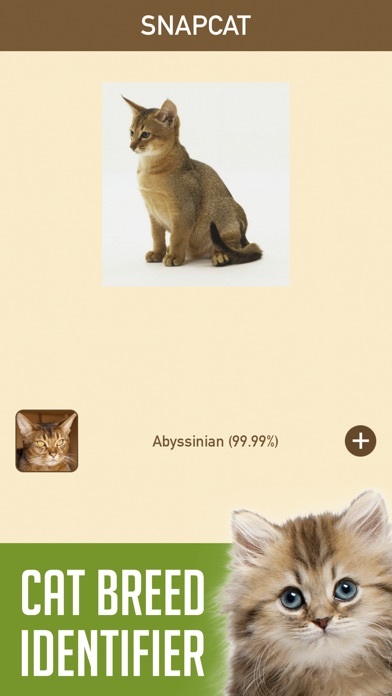 SnapCat is the #1 cat breed identifier. Our database includes all the cat breeds, and the results are extremelly accurate. 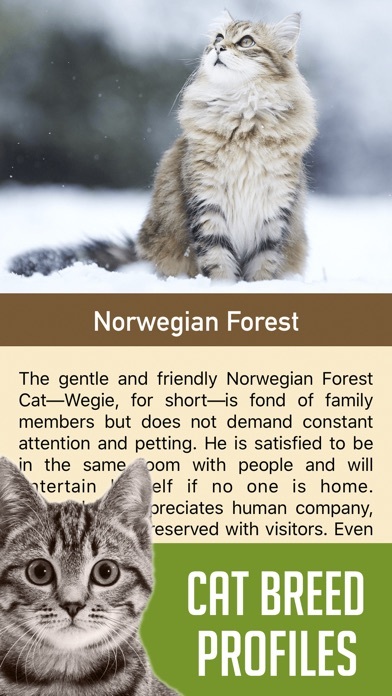 Features: - Identify cats by picture - Accurate cat breed identification - Cat breed profile with detailed information about each specimen Download SnapCat and enjoy identifying cats on the go!